...of Tamebay fame is not known by any means as an eBay basher or even a detractor. She has been promoting the eBay system of selling on Tamebay.com for a long time. Readers of the Trading Assistant Journal may not be familiar with Tamebay but in the eBay space, this UK based blog is required reading. We all have been saying eBay is not the only game in town any longer, Sue has distilled this point into a pure and mineral free statement of the facts. Read these excerpts for yourself here, or follow the link to the article and read it in its entirety on Tamebay. Dear eBay, may I please get on with selling now? So we made it to 25th September. For the second time in a year, sellers are making major changes to the way they do business on eBay, revising listings one by one, struggling to find information on how eBay’s latest round of changes will impact their particular business. And I don’t know about you, but I’ve had enough. I’d really like to just get on with selling now. Policies are made, and then retracted, or tweaked, causing yet more work for sellers. eBay need to find a way to consult with their members before they make many of these changes: often as sellers, we understand the implications of what eBay do better than they do themselves. Policy changes need to be communicated fully, in advance, not piecemeal after the event. Most importantly, eBay need to stop changing things. Let’s have some time to just get on with selling, please. If eBay are sometimes poor at communicating, other times they’re just downright secretive, and this is doing no good to their relationship with sellers. Getting information about how the new search results work is like pulling teeth. eBay staff contradict each other. They can’t answer basic questions. And all this leaves sellers - rightly or wrongly - feeling as though they’re being duped. 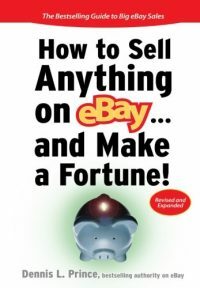 Getting sales on eBay feels more like gambling than running a business: if we don’t understand how to get ourselves to the top of the search results, we’re not going to hang around trying to figure it out, we’ll just go somewhere else to sell. Of course, it’s eBay’s site and they can do what they want, and that includes alienating every seller they’ve got if they choose to do so. But they shouldn’t count on sellers just bending over and taking it much longer. We have more options now. When I started selling on eBay, setting up a website was difficult and expensive: eBay offered many sellers an opportunity to sell online that they couldn’t find any other way. Now, website’s are both easy and cheap: why would any seller not have one? Comparison search engines and search marketing tools like Adwords make it easy and cheap to reach buyers. That easy, cheap connection with people who wanted to buy used to be eBay’s unique selling point, but it’s not any more. eBay can’t sit on their laurels forever. Unless they find a new way to reach out to sellers, to convince us that it’s worth persisting with eBay selling, I fear by this time next year, there won’t be many of us left. I decided to change my business almost a year ago based on a the unfortunate truths we now see before us in the eBay world. Fortunately for myself and my clients, we no longer depend upon eBay for our livelihood or business survival. 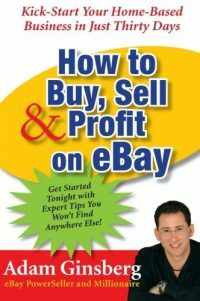 While I do continue to sell on eBay and my clients also utilize eBay for certain aspects of their businesses, eBay is no longer recommended by us as a primary source of income. Am I worried eBay will read this and become less friendly towards me or my blog or my business? Not really, because they do not seem to be listening to feedback. I don't think eBay will offer an opinion or make an effort to alleviate the anxiety of its sellers, they are too busy with plans for more changes, one would assume. 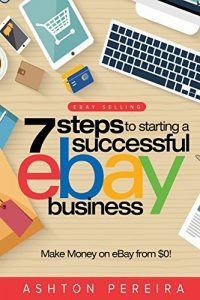 If you are interested in setting up your own off eBay website, please contact us (iBusinessLogic.com) or someone else you can trust. It is really the best move you could do for your business. Just wanted to second the notion about TameBay–if you’re an American eBayer who reads Scott’s blog and other US eBay-related blogs and think TameBay isn’t relevant…think again. Always required daily reading. Regarding the meat of the post, which to me is about the other options–yes, we have more options, but what we need are more third party tools. We need listing tools which are affordable to small and medium sized sellers. Could it be that hard to create something that can read an eBay feed and spit that info out to all of the Bonanzle’s and iOffer’s and Etsy’s, OLA’s, etc., etc., etc. I’d pay more, but I really feel like someone should be able to put something out there for $20-$30/month and I think they’d make a hell of a lot of money doing it! I was very surprised to see that post from Sue. I read Tamebay daily because it is often a view of what is ‘coming soon to an eBay near you’. For a known eBay cheerleader to make such an obviously sincere and rational statement of ‘enough already’ in a respected forum, read worldwide, one has to wonder if eBay is in fact past the tipping point. The noisy bunch of sellers left between February and May, there has been a steadily increasing outflow of quiet sellers in the last four months. Sellers who put their faith in eBay and ordered seasonal stock that nobody will ever see, will be out of business by spring. Then what eBay? Just you and Buy.com with their under 3% sell through rate? Sue hit the nail on the head … more than once, I might add. And eBay appears to be the one getting the bloody fingers for having missed a number of times! A year ago, eBay sellers reigned supreme in the free Consignment Pal Resale Directory which featured many eBay Trading Assistants and eBay Drop Off Stores. In May, 2008, Scott wrote about the launch of the redesigned, Consignment Pal Directory in the eBay Trading Assistant Journal. With Scott’s help, the new Directory layout even featured five eBay listings on each business profile. Now just four months later, it’s the end of September, and a number of eBay sellers are NOT selling on eBay anymore and subsequently their eBay listings don’t appear on their business profiles. A number of these eBay sellers are fed up with eBay and are making other plans. Even though Consignment Pal exhibited at the 2008 eBay Conference in June, now eBay sellers are creating business profiles at a slower rate than their antique or resale store counterparts. A year from now, I suspect eBay sellers will no longer be in the majority in the Directory. To be fair, a portion of the percentage decline in eBay sellers will be due to our overall expansion efforts to add more antique stores, consignment and resale stores, business liquidators, art galleries, eCommerce, etc. Only time will tell, but I’m betting on the growth of the non-eBay eCommerce arena.